Sukup Bucket Elevators give you the capacity for expansion. You want to know the equipment you purchase is reliable and Sukup bucket elevators are just that; with UHMW seals on all shafts, durable SOFR rubber belting and heavy-gauge trunking. Additionally, Sukup can offer a bucket elevator built to your specifications. 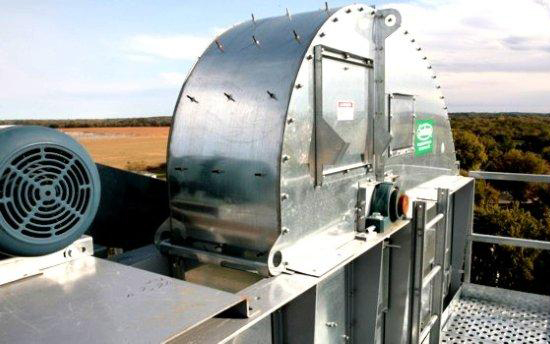 Galvanized construction ensures Sukup Bucket Elevators will last and look good for years to come. UHMW seals on all shafts. 8” x 8” access door on boot allows for easy pulley hub adjustment. Sukup Bucket Elevator prices includes Bucket Elevator, Drive, and Backstop. For more information about Sukup Bucket Elevator, please download the brochure.